Karibu Tanzania, pack your baggage and join this exciting 5 -day safari holiday in Tanzania! During this safari, you will go on extensive game drives in Tarangire National Park, Serengeti National Park, Ngorongoro Crater and Lake Natron; you will have the opportunity to spot wildlife in their natural habitat and explore magnificent of Tanzanian national parks while exploring flamingoes in Lake Natron and hike mountain Olidonyo Lengai, the only active volcano mountain in Tanzania. 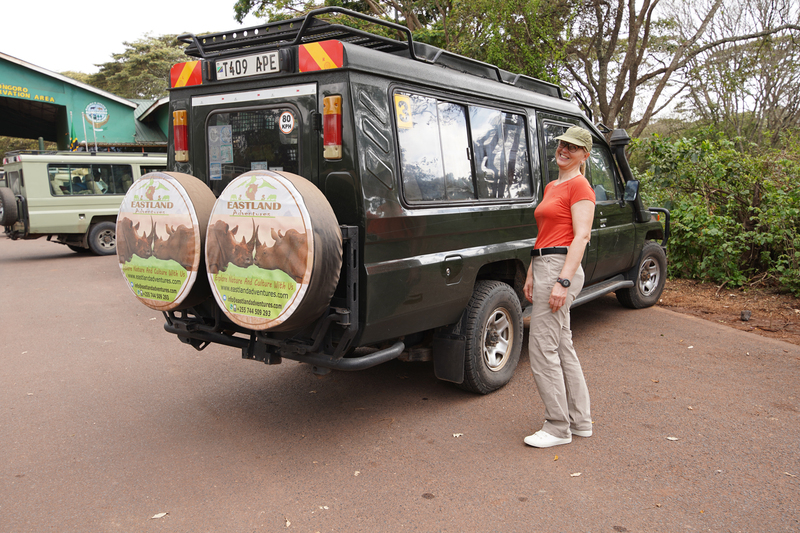 In the morning, we will pick you up from your hotel in Moshi/Arusha and drive to Tarangire National Park, which is known for its huge baobab trees and large herds of elephants. Its sparse vegetation makes it a beautiful and special location, where up to 300 elephants can be found, looking for underground streams in the dry riverbeds. Migratory wildebeest, zebra and buffalo can also be seen crowding the shrinking lagoons. Here you will enjoy an afternoon game drive with a picnic lunch. Dinner and overnight as per arranged accommodation campsite or Lodge. Today after breakfast in your campsite/ lodge will drive to Ngorongoro Conservation Area & descend 600 meters into the crater floor for game drive. Ngorongoro Crater is a rich area with enough water & fodder supports a vast variety of animals, which includes wildebeest, zebra, buffalo, eland, warthog, hippos, and giant African elephants. The Crater is home to some rare species of black Rhino living in their natural habitat perhaps this is among few areas where you can see Rhino in the wilderness. Another interesting part of Ngorongoro is Caldera, there is denser population of predators, which includes lions, cheetahs, hyena, Jackal and the ever mysterious leopard, which sometimes needs a binoculars eye to spot. You will visit Lake Magadi, a large but shallow alkaline lake in the southwestern corner which supports a large number of flamingos and other water birds. In the mid day after lunch break we will ascend from crater and drive to central Serengeti for dinner and overnight as per arranged accommodations campsite/ lodge. Today you have bright day in Serengeti National Park” with its endless rolling plains. Then move to the central park area, called Seronera area named after the river which is a valuable source of water in the area therefore attracts a lager number of wildlife species in the Serengeti Masai Mara ecosystem. This is among the richest habitats in Serengeti with a lot of animal actions. Packed lunch to be served on the way before embark for sunset game drive in the Serengeti national park. After sunset game drive heading to your accommodations campsite/ lodge for dinner and overnight. Today we take you for an early morning game drive which can allow you to see some nocturnal animal coming back from along night of hunting, or a group of lioness organizing a morning ambush, then the rest of the game drive will be en route towards the Northern Serengeti. Check out at Klein’s gate & drive to Lake Natron arriving late afternoon and go for evening lake Natron walk for sunset if time permits. You will have early dinner and sleep read for night summit at Odoinyo Lengai Mountain. Night ascent & dawn summit bid, Ol doinyo Lengai Mountain (seismic conditions permitting). Optional waterfall hike and swim depending with your preferences. After drive to your hotel in Arusha/ Moshi for dinner and overnight. Tanzania Safari 5 days Serengeti Ngorongoro including Lake Natron is the best tour that combines wildlife safari, hiking & sightseeing.